Anyone here fancies Italian cuisines? 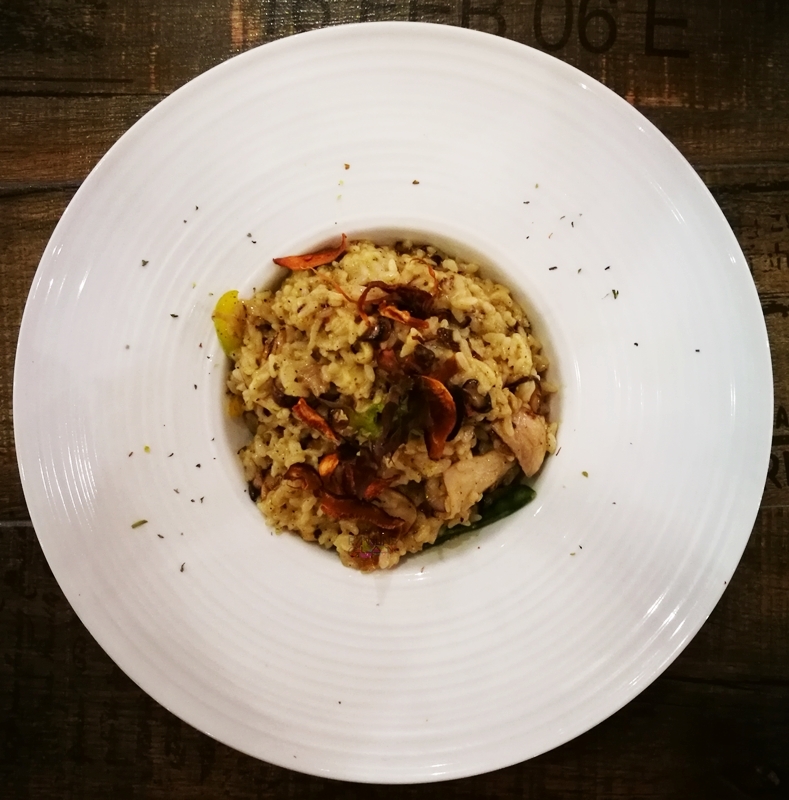 Since most of us (me included) can't afford flying there to taste them delicious cuisines first hand, now Sunny Queen Malaysia brings the Italian cuisines to our shore, more specifically, Sunny Queen is here in Sunway Pyramid. The very first thing that captured my attention was its bright and colourful decoration along its wall. There were bright colours and cartoon-themed wallpaper that certainly brightens up the restaurant. This is ain't your typical Italian restaurant (the ones you've seen inside a mafia-themed movie haha). So. let's get down to business. Here are some the cuisines that the Chef managed to cook up for our little group the other day. What good is an Italian restaurant without pasta on its menu? And Sunny Queen has a lot of varieties - you name it, they will certainly have it on their menu. 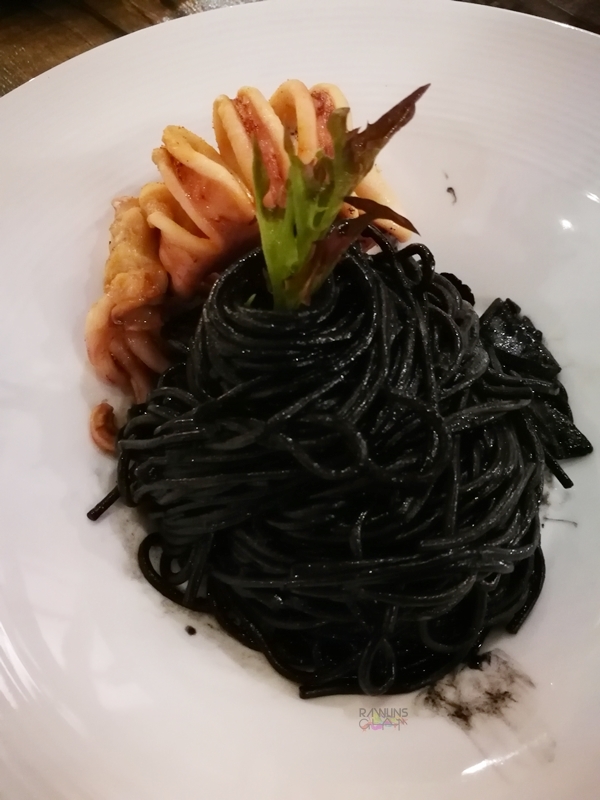 And I tried the Squid Ink Cuttlefish Spaghetti, albeit I made it a point never to eat something that is so extraordinary. And I liked it too. And there's also risotto varieties available for the risotto lovers. Not forgetting the signature of any Italian restaurant, Sunny Queen also has a great variety of pizzas! With its crispy thin crust base, choose from Margherita, Hawaiian, Mushroom, Walnut & Chocolate Banana, Mexican Smoked Sausage, Cherry Duck with Garlic and Mixed Seafood, whichever that suits your taste for the day. And they also have some unique drinks too, you'll be captivated and intrigued to taste it. Ever heard about dancing queen? Sunny Queen has it on their menu too. 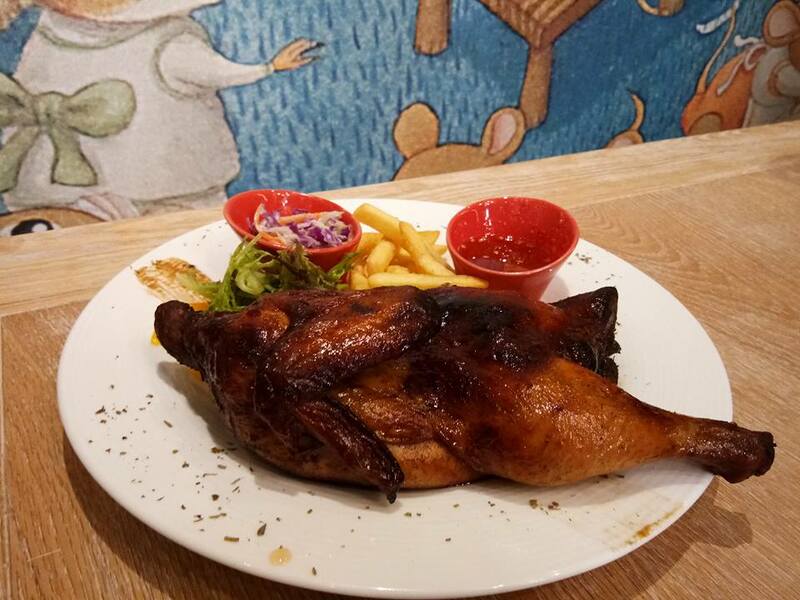 Dancing Queen is actually a half roasted chicken! Hehe. So, head on to Sunny Queen the next time you are in Sunway Lagoon and you are feeling Italian for the day! Masakan itali mmg tak pernah cuba lagi.. Tp zaza berkenan tgk yg mcm pizza dan dlm kuali hitam tu.. 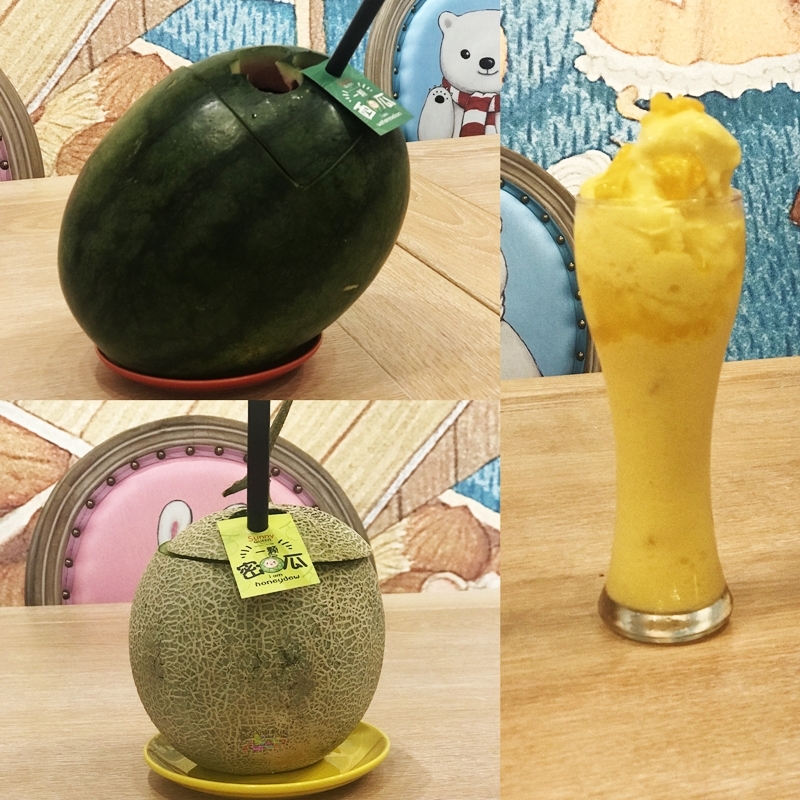 The melon drink looks so appetizing. Japanese melon isn't it? Simply can't resist all the food that you have posted. spagetti already look delicious. That melon and watermelon drink super authentic from its fruit. I got to be honest. That spageti with different colors, really really really attract me to go and try them. They must taste different from one another. Which one do you recommend the most? teringin nak try squid ink spaghetti tu. Tak semua western restoran ada menu squid ink spaghetti ni tau. kdg klu ada pun tak best. yg kat sini best tak rawlin? I didn't know this is an Italian restaurant. Am planning to check it out in March when I am in Subang. Hope it won't be too late to review then! That is an awesome place ! The food looks so tempting. I should check them out ! Clam Pesto Spaghetti looks delicious and it is my favourite. Will check this out. I love the ambiance of this cafe, it's so cute! Can't wait to try the food too! Deco dia memang on point betul. Sebagai fans pasta, kena datang sini one day. Harga macma mana? I love spaghetti! This place looks so cool and perfect for us Asians who loves their pasta. Which of these foods are your favorite? Wow!! This is perfect place to me. I really love pasta and their Creamy Lemon Chicken Spaghetti looks really tempting. Wow! I love Italian food! 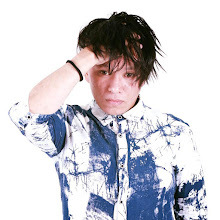 Will drop by soon.